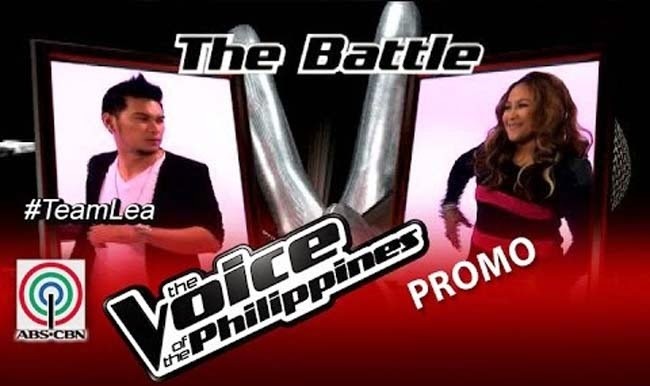 Iit is now the Battle Rounds of The Voice of the Philippines Season 2,. Who will stay between Team Lea’s Leah Patricio vs Humfrey Nicasio on December 7, 2014? Leah Patricio had been idolizing Lea Salonga since childhood. She had been trained by her father and even crossed seas to joins competitions. Singing ‘I Will Always Love You’ she was able to make her idol turn. Hey coach was happy with her performance and thought was perfect. Humfrey Nicasio filled the stage with happiness as he had sung ‘Happy’ during his Blinds Audition. He not only wanted to be an artist but also to be a composer. He had chosen Lea to be his coach over Sarah believing that Lea can help him with his diction. Nicasio shared that his inspiration had always been his girlfriend. The Battles Round Result: Nicasio promised to do his best as he had seen how good was Patricio. Leah asked them to study the song more and be more comfortable. Leah was happy that Nicasio worked hard to be able to blend well with Patricio’s voice and improved much. Team Lea’s Leah Patricio and Humfrey Nicasio sang ‘Forever’, Martin Nievera’s epic love song. Leah was all smiles towards the whole performance. Sarah said that Patricio got her hook while she felt the positivity from Nicasio. Leah liked the fact that Nicasio did well to improve but she picked Patricio to continue to the Knockout Rounds.